Give the RFLKT credit for moving the idea of a "dumb" screen that translates phone-produced data forward, but there are a lot of kinks still to work out. One of the biggest downsides to using an iPhone as a cycling computer is putting the $699 device out on the handlebars and exposing it to all the hazards of cycling. Sure, you could put the phone in a shock-proof case that mounts on the bars, but that would mean putting it in the case before the ride and taking it back out of the case after the ride. If you’re the kind of person who already has your phone in a case, it means taking one case off, putting another case on, mounting it to the bars … you get the picture. 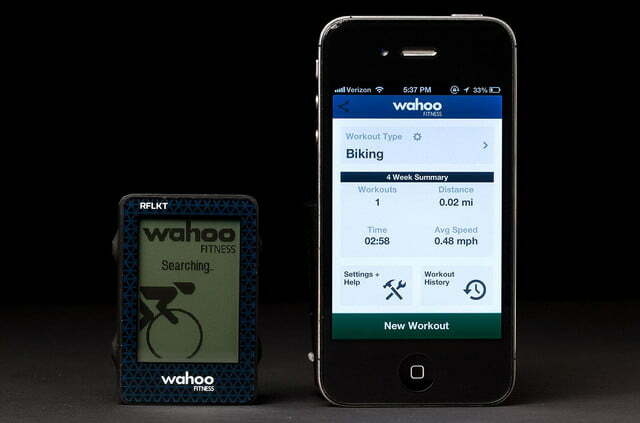 Or, you could just keep the iPhone in your pocket and let it record all the data from your ride and analyze it later. The problem with this option is that it defeats the whole purpose of cycling with a computer – real time analysis of speed and cadence output. With the phone in your pocket there’s no easy way view all that data while you’re riding. 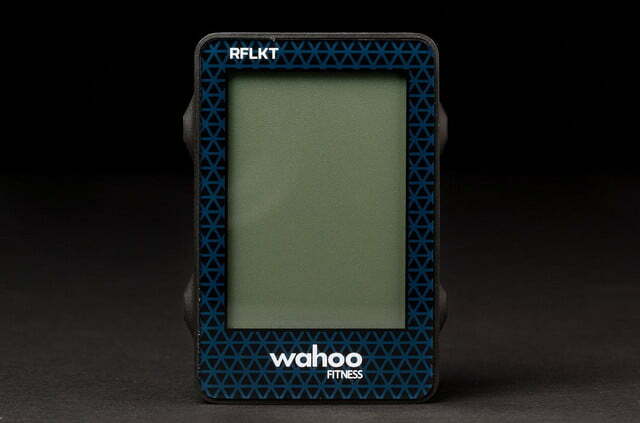 Wahoo Fitness’s RFLKT ($129.99) clears most all these hurdles by “reflecting” the performance metrics from a connected iPhone directly to the handlebars via Bluetooth 4.0. Running a compatible app like Wahoo Fitness’ app, Abvio’s Cyclemeter, or (very soon) Strava makes it possible to follow all the cycling metrics like speed, cadence, ride time and even control a music playlist while the phone remains safely tucked away into a pocket. 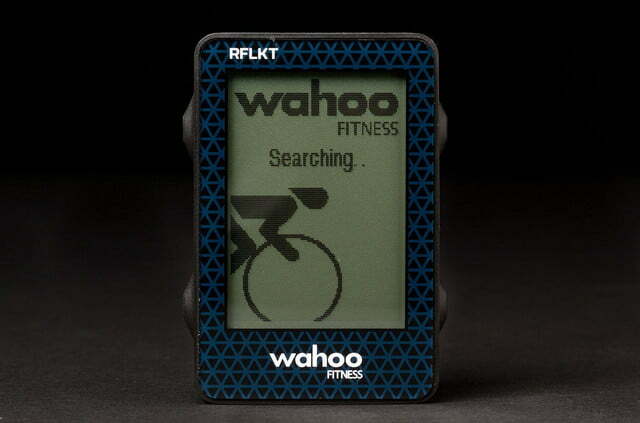 The Wahoo Fitness RFLKT iPhone Powered Bike Computer comes with the display and two bike mounting systems. One allows the RFLKT to be placed on the stem of bicycle (often the preference of mountain bikers) and the other attaches to the handlebars and places the RFLKT out front where road cyclist prefer their computers. The packaging includes a small metal pry bar which is used to remove the RFLKT from either of the two mounts. 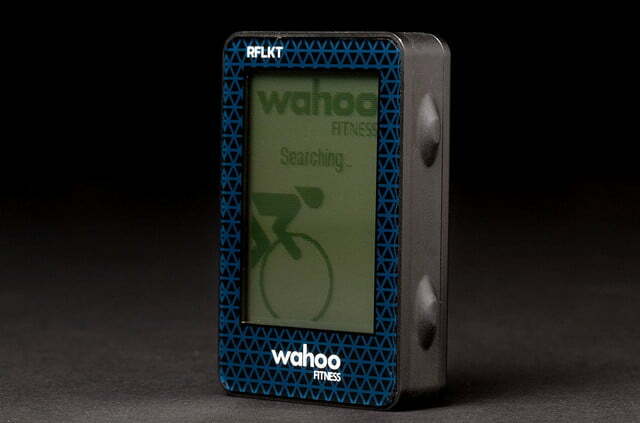 Wahoo also includes a quick-start guide that explains how both mounts work and directs users to the Wahoo Fitness website for instructions on using the RFLKT because, as they say, “technology changes fast and we want to make sure that you have the best information possible about our products and their compatibility.” In other words, the RFLKT packaging contains little-to-no detail on using or setting up the device. And as we later discovered, this makes sense because most of the interaction we had with the RFLKT was through the iPhone app we chose to run with it. Unfortunately, it also creates potential problems specific to each of those apps, which we’ll get to in a minute. The RFLKT is one of the first in a category of devices that we expect to become a huge market in coming months. Like Samsung’s Gear and the Pebble watch, the RFLKT is simply a monitor that takes the data being display from the iPhone and moves it to an easier-to-view location. Without an iPhone and a compatible app, however, the RFLKT does nothing at all. It has no built in speedometer, nor cadence. It doesn’t even have an onboard clock. The RFLKT’s design is extremely utilitarian. It is rectangular (2.4 x 1.6 x .5 inches) and weighs only 2 ounces, making it slightly larger than a small box of matches. 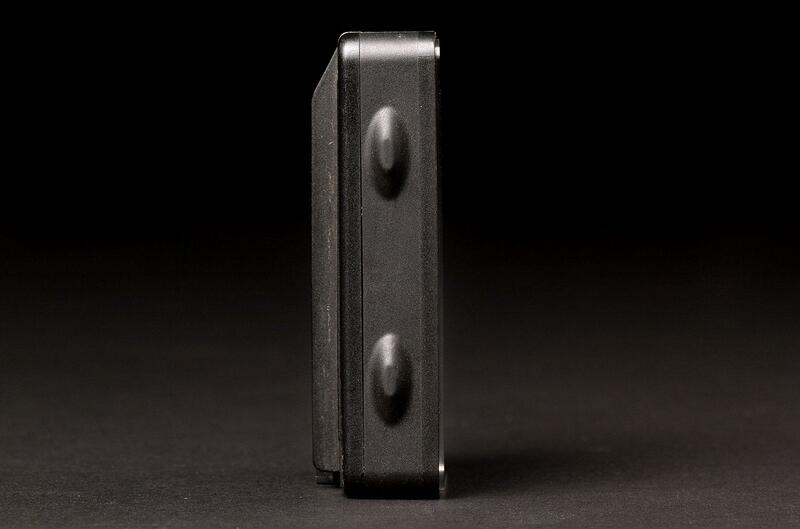 With four unmarked and programmable buttons (two on the left edge and two on the right), the RFLKT’s design is nearly as minimal as an iPhone itself. The most interesting feature of the device is its ability to facilitate customized data pages from an iPhone app and show those metrics on its LCD display. Cyclists can set up pages of data exactly the way they want it. Speed at the top, cadence on the left, and ride time at the bottom. Or set up one screen for road bike metrics and another for mountain biking. There’s even a way to display the title of the current song being played in iTunes. Wahoo Fitness has their own free iPhone fitness app that works well with the RFLKT. However, we chose to test our unit with the Cyclemeter app from Abvio (available in the iTunes store for $4.99). We’ve been using Cyclemeter for several years and like the way it displays the data and the way it allows for more customized data pages that the Wahoo app. Getting Cyclemeter working with the RFLKT, however, required the purchase of an additional $4.99 RFLKT extension app. 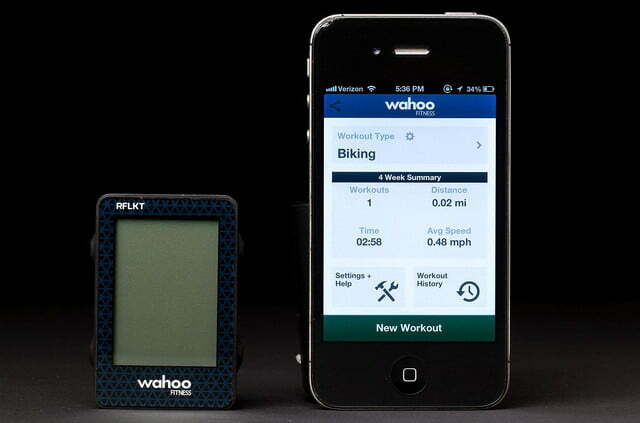 We also added Wahoo Fitness’ Blue SC speed and cadence sensor to better keep track of our RPMS and speed while riding. We did not use a Bluetooth heart rate sensor, but from previous use we know them to work well with the Cyclemeter app. 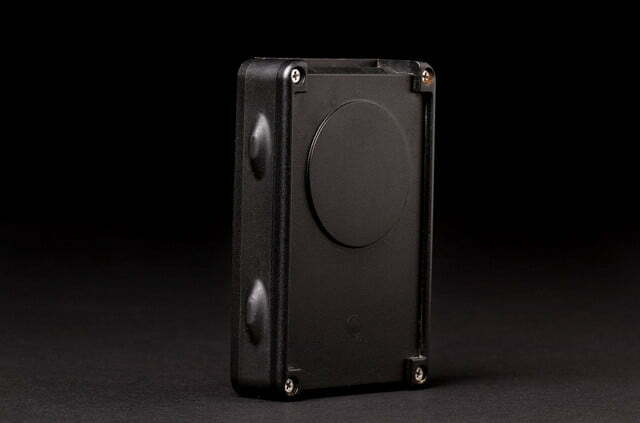 The RFLKT is simply a monitor that takes data and moves it to an easier-to-view location. Setting the RFLKT up on our bike did not go as smoothly as we had hoped. We thought we’d simply mount the RFLKT to the bars, strap the Blue SC to our bike’s chainstay, turn on our iPhone’s Bluetooth and ride away. That didn’t happen. Mounting the RFLKT to the bike was straightforward, as was installing the Blue SC speed and cadence sensor. Getting the RFLKT to recognize the iPhone and more importantly getting the phone to recognize the Blue SC cadence sensor was where the trouble began. First, we visited the settings page on the iPhone and turned Bluetooth on. Then, launched the Cyclemeter app and flipped the Bluetooth sensor toggle so the app could recognize the speed and cadence sensor. 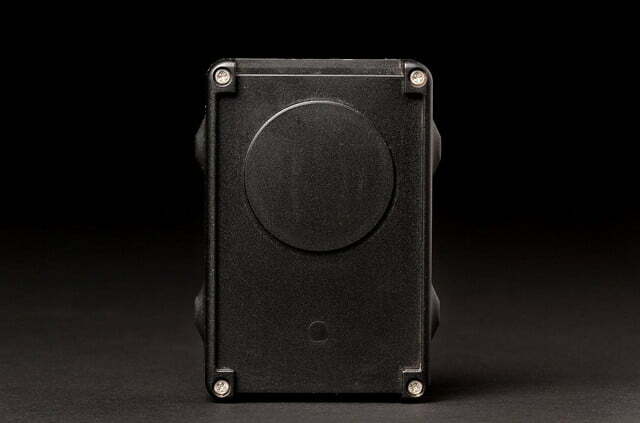 The Blue SC speed and cadence sensor has no “on/off” switch and instead turns on automatically when a magnet mounted on a wheel spoke passes in front of the sensor and signals motion. But how do you know if motion is being detected? Only by seeing the data on the phone. Meaning, if the phone and the sensor are not connected it is impossible to know if the sensor is mounted correctly. After visiting the Wahoo Fitness website several times looking for clues, we finally realized we needed to download a Wahoo Fitness utility app (free from the iTunes store) that would determine whether the Bluetooth sensors were on and sending data properly to the iPhone. When we knew they were connecting with the phone, we then attempted to pair the Cyclemeter app with the sensors, but it did not pair with them. There are so many pieces of technology at work in the system that finding an error can be difficult. Where a stand alone bike computer allows riders to set up sensors, then press the start button and forget about the rest, the RFLKT demands attention not only to itself and the Bluetooth sensors, but the iPhone, and the specific app as well. Only after double-clicking the iPhone home button, force-quitting all the running apps, and starting over from the beginning did we finally get the system running all the way from the sensor to the iPhone to the app to the RFLKT. When it worked it was almost as if by magic. This is was the most frustrating part of using an iPhone for a bike computer. Our daily driver bike computer is an Garmin Edge 500. And while it may occasionally take three-to-five minutes to locate the the GPS satellites, once it’s running we never have to think about it again. Rarely, in the month and a half that we tested the RFLKT, did the display, app, and iPhone combination work flawlessly for an entire ride. On one mountain bike ride we were concentrating on keeping our speed at 10 MPH. The display showed 10.54 and we were happy. Then, as we approached a climb and slowed to a crawl, the display still read 10.54. For whatever reason the RFLKT display had frozen entirely and we’d been staring at a static screen for nearly five minutes before noticing. After stopping, quitting the app, and still not fixing it we noticed that the RFLKT menu page of our Cyclemeter app mentioned that by pressing and holding the top left and right side buttons for “five seconds” the RFLKT could be reset and the app configuration reloaded. After pressing the buttons and resetting the RFLKT, then restarting the app, things began working normally again. There are so many pieces of technology at work in the system that finding an error can be difficult. On another ride a phone call was sent to voicemail. When the voicemail notification came through, the display froze again. And while the display reset once we listened to the message and switched back to the Cyclemeter app, it was annoying that simply getting a phone call would stop the data flow to the RFLKT. The few times we were able to quickly pair the RFLKT with our iPhone and jump on the bike without having to reset it, it worked well. The display is easy to read, the buttons allow a quick scroll through the data pages and for a moment we’d think this was the coolest set up ever. Then we’d notice something like a data lag where our speed would say 12 MPH for five seconds after we’d stopped and it would remind us that the future of bike computers hasn’t quite arrived. While many of the glitches were hard to reproduce with the iPhone and RFLKT sitting on our desk, the freezes happened often and were annoying. Ultimately, for a casual cyclist, they might not be a huge problem. For a more serious one, or for a competitor, this kind of data choke is a real bummer. Then there is the battery issue. The watch battery powering the RFKLT will likely last the average user a year or more, but the battery on an iPhone that’s pushing Bluetooth data will not. We ride with a phone because we might need to make a call, and each time we took the RFLKT on a ride longer than four hours we noticed our phone battery dropping to dangerously low levels. Not only is that annoying from a safety perspective, when the phone battery dies, the data flow stops, and the RFLKT quits working all together. In the final week of testing someone accidentally bumped the RFLKT with their hand while putting on the front wheel on our mountain bike. Rather than bending, or twisting, as you might expect of plastic, the entire mount broke off at the handlebars sending the RFLKT crashing onto the floor. The RFLKT was fine, but the mount was done. Wahoo Fitness’ customer service was quick to send us a a replacement bar mount and Wahoo says the mounts had been reinforced in current production products, but it really was the last straw. The RFLKT shows great promise and will undoubtedly improve over time; in fact, a few problems we don’t mention here were fixed by a firmware update during testing. 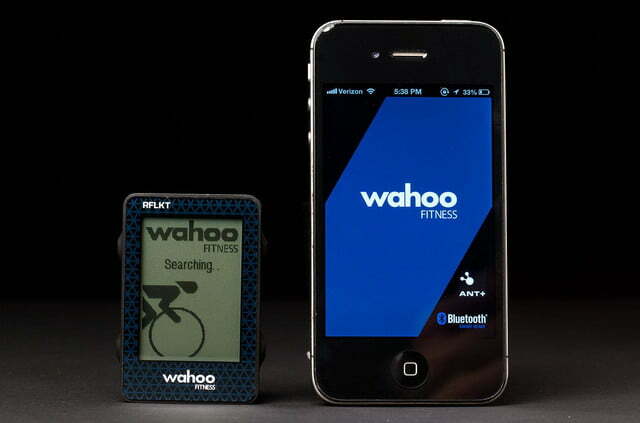 Plus, the work Wahoo Fitness is doing with the RFLKT application programming interface (API) is fundamentally changing the way athletes interact with their smartphones. 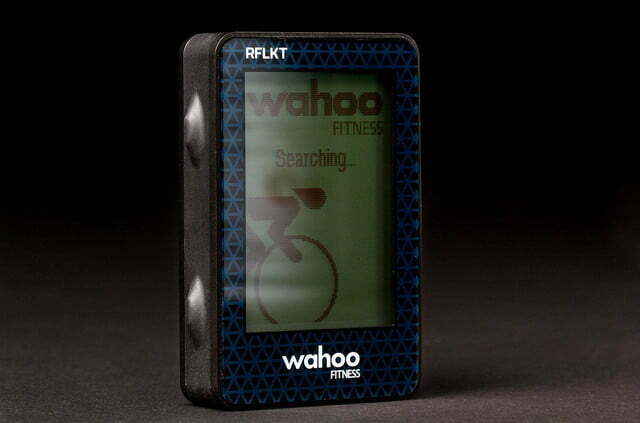 But in the short term, we’re happier handing off our cycling computing to a stand alone device like a Garmin Edge. The RFLKT and Bluetooth sensor setup may be $100 cheaper than a similarly equipped Garmin Edge 510, but the realities of the RFLKT tangling with our iPhone, freezing up, and draining our battery was just too much hassle. That said, for cyclists who rarely ride more than four hours at a time and who love fiddling with really cool, forward facing technology, the RFLKT will deliver hours of fun both on and off the bike. We’d just rather spend more time riding, and less time messing with our data capturing technology.